I run xbunutu on my laptop and I didn't have a problem resizing the partition with gparted. 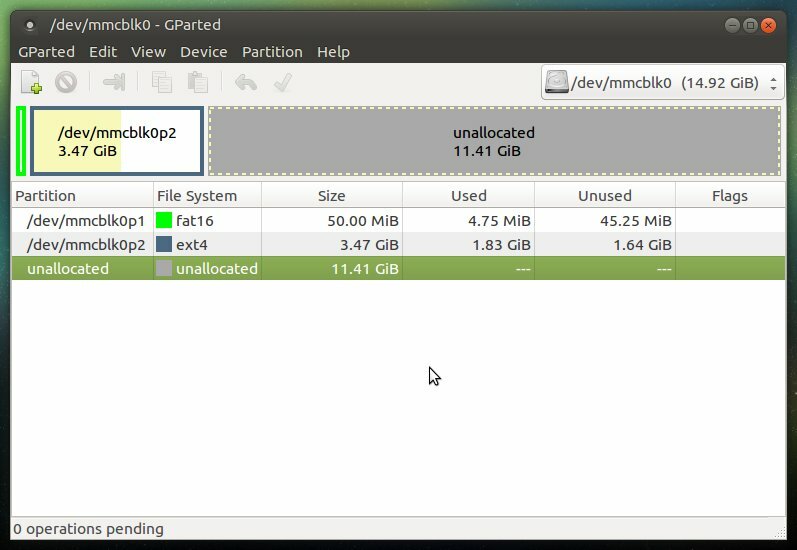 * run thunar (figure out which partition has the /etc/ folder) Mine was the ~4 GB partition. make sure you're not selecting an active drive like ... my /dev/sda is my main drive. You might want to run `df -a` without the sd card inserted to make sure that you know which /dev/sd* it's not. Otherwise you could nuke something really bad. Done no problem. Looking at the login screen ... right now. These steps worked for me. Thanks. Thank you Xaneth for the tutorial, its working for me real fine. Easy to follow for newbie. 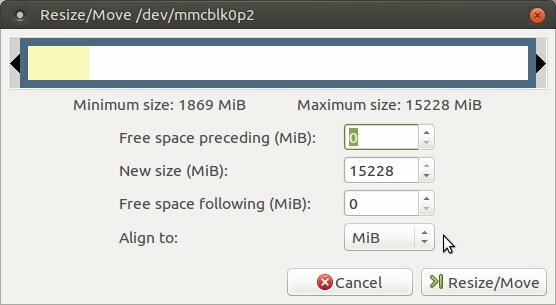 I've inserted SD card into my Linux Laptop and run gparted.